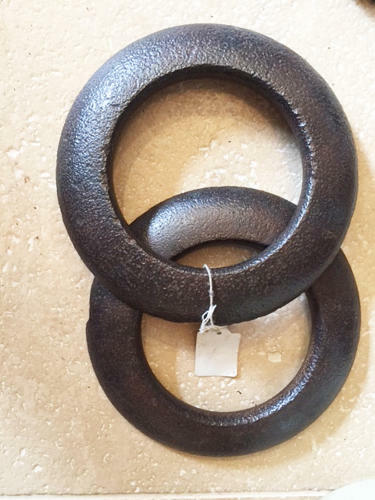 19th Cent Cast Iron Pub Quoits. Played all over England in the last century. A clay pit was often outside the pub with a large iron spike to play the game. These are sometimes still found hanging on the walls of old pub fireplaces.